Art saves lives. 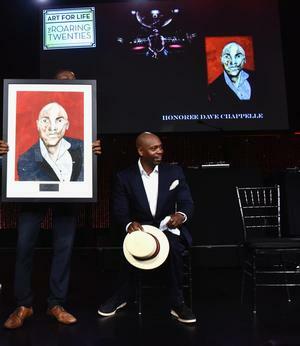 This simple statement is the powerful premise of Russell and Danny Simmons' Rush Philanthropic Arts Foundation (RPAF). Encouraging young people, particularly those in difficult and impoverished circumstances, to enter other worlds through art is an established principle in education, but one often slighted by budget cuts, insufficiently trained staff and the prioritization of other activities such as preparation for standardized testing. 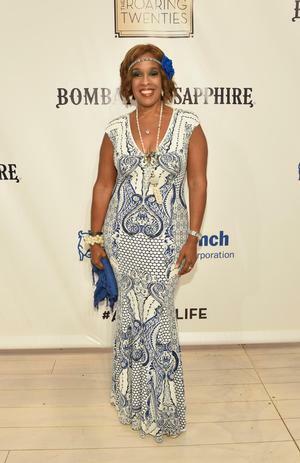 The 2015 Art for Life fund-raising gala was held July 18 at Fairview Farms in Water Mill, NY, and was hosted by television anchor and correspondent Soledad O’Brien. 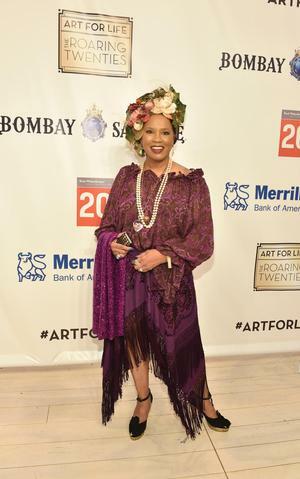 The program honored artist Wangechi Mutu, comedian Dave Chappelle, art auctioneers, collectors and bon vivants Michaela & Simon De Pury and filmmaker Ava Duvernay. Elle Varner and Bell Biv DeVoe performed and DJ M.O.S. spun the music. The benefit marked the 20th anniversary of the organization by highlighting youth that have grown up through the RUSH programs and honoring exemplary individuals who have supported the Foundation’s mission throughout the years. The event's sponsors included Bombay Sapphire Gin (gold sponsor) and Merrill Lynch (silver sponsor). A crowd of 900 supporters, some in attire reflecting the gala's ‘Roaring 20s’ theme, contributed to the nearly $1.2 million that has been raised for the benefit. And the RPAF is still counting — contributions to the cause can be made here until July 30, 2015. 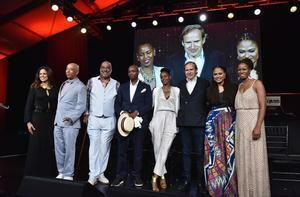 The gala cocktail hour was followed by a dinner program where Dave Chappelle, Michaela and Simon de Pury, Ava DuVernay and Wangechi Mutu were recognized for their career achievements and philanthropic work. 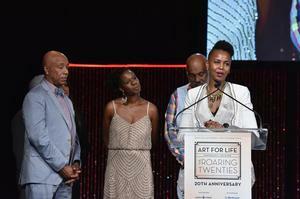 In response, the honorees delivered speeches about their passion for art and the Foundation’s mission. 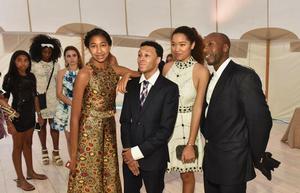 During the program, Russell Simmons announced that Kimora Lee Simmons donated $150,000 for RUSH teens. 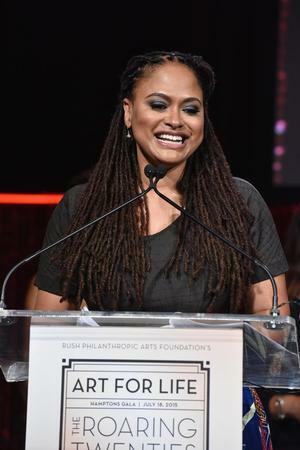 Her two daughters — Ming Lee Simmons and Aoki Lee Simmons — accepted the honor on her mother’s behalf and welcomed the inaugural class of scholarship recipients. 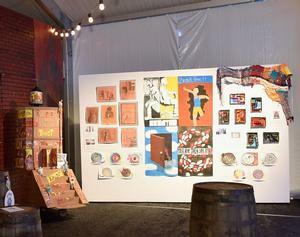 The event also celebrated the official kick off to the 6th Annual Bombay Sapphire Artisan Series program. Proceeds benefit the Foundation’s signature arts education and gallery programs, directly serving over 3,000 inner-city youth each year. RPAFs mission and programs are rooted in the belief that when young people have the opportunity to practice and appreciate art, their lives will be transformed. They discover the value of their unique voices and visions and become better learners, better thinkers and more insightful and empathetic people. The Brothers Simmons—Danny, visual artist and community builder; media mogul Russell; and Joseph “Rev. Run” of the legendary hip-hop group Run-DMC—founded RPAF in 1995 to fulfill these objectives. Over the past 20 years with the help of a broad base of friends, collaborators and supporters, Rush has been able to develop its main two program areas — Rush Education art programs for youth and Rush Arts Galleries which support emerging artists nationwide. Designed to inspire students, provide positive alternatives to high-risk behaviors and support increased academic performance, Rush Education programs — Rush Little Kids, Rush Kids, Rush Teens and Rush Galleries in Schools — directly serve over 3,000 students annually. The Rush Arts Galleries (Rush Arts Gallery in Chelsea, Manhattan and Corridor Gallery in Clinton Hill, Brooklyn) exhibit the work of over 100 emerging and community-based artists; welcomes over 10,000 gallery visitors; and provides opportunities for young people interested in careers in the arts. 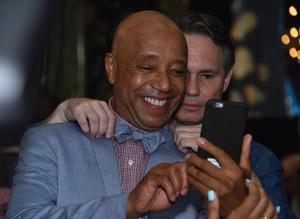 The celebrity, business savvy and talents of the Simmons Brothers have supported their vision. However, with such an all-encompassing goal as fostering arts engagement and arts careers for inner city youth, the organization needed major corporate and philanthropic support to thrive. This support has come in the form of the Art For Life gala and the BOMBAY SAPPHIRE Artisan Series which have served as the principal fundraising and corporate sponsorship events for RPAFs programming and activities over the past 16 years. Emerging artists are nurtured through the BOMBAY SAPPHIRE® Artisan Series which is a national search to find the next big name in visual arts. Created in partnership with Russell and Danny Simmons’ Rush Philanthropic Arts Foundation, the Artisan Series offers under-represented artists a national platform to showcase their work. During the search, thousands submit their artwork, and some will go on to exhibit at local galleries during the regional finals. 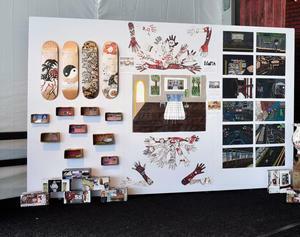 Ultimately, 12 artists are chosen to showcase at the annual, grand finale event during SCOPE Miami Beach in December. But just one receives a grand prize solo exhibit at SCOPE NYC in March. The top three winning artists from the finale receive a stipend to help create a mural in their hometown and give back to their communities. The 2014 winning artists are: Alex Aviles, Walter Bailey, Jonathan Cole, Kristine Mays, To-Rock Moore Moore, Tomo Mori, Mordecai Ray, Susan Rotondo, Michael Savoie, Harry Sidebotham, Basil Watson. Going strong for 20 years RFAP now has many success stories that validate its mission. The artist section of its website lists participants who have gone on to successful visual arts careers and more. RFAP steps into the gap in arts engagement among inner city youth and rising artists of color that the efforts of public education, museum outreach programs and municipal galleries have sought to close. The Simmons brothers' direct approach from — school to gallery to critical recognition —is proving a winning one for many of today’s rising artists.